If you suffer from plantar fasciitis, it is vital for you to get the best shoes to support your feet. Most shoes on the market will actually make your pain worse, so you need to look out for certain models, brands or technology to keep you comfortable and safe. Investing in a great quality pair of plantar fasciitis shoes can prevent any further damage to your feet and may even relieve some of the symptoms. The best shoes for plantar fasciitis are those that will absorb the shock from walking or running in order to prevent further damage or pain. Suffering from plantar fasciitis can be difficult, but if you own a high-quality pair of specialized dress shoes, you don’t have to suffer much longer. View the Best Shoes For Plantar Fasciitis, Below. Do I Need Shoes For Plantar Fasciitis? How Can I Deal With Plantar Fasciitis At Home? We’ve searched the internet using customer reviews and medical boards to find the ten best shoes for plantar fasciitis. This professional mule clog is a well-loved model of shoe for plantar fasciitis due to its comfort and support. This Professional Mule has a comfortable reinforced toe box that delivers protection and space for movement. 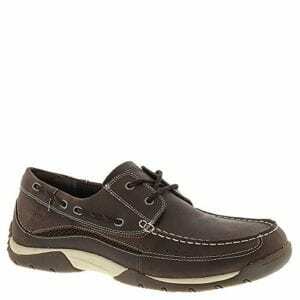 These shoes are ideal for plantar fasciitis as they have a polyurethane outsole with a rocker bottom that has great shock absorption to keep you comfortable and safe from plantar fasciitis. As these shoes are a clog, they support and encourage natural movement of your feet to reduce the pain of plantar fasciitis. They are also incredibly attractive and stylish for all wearers, with their classic coloring and high-quality leather. As they are simply stylish, they can be worn for all and every occasion. These mules for plantar fasciitis are incredibly comfortable, stylish and support the natural movement of your foot to reduce pain. These classic boat shoes for plantar fasciitis are lightweight and flexible to aid and support your movement. The medium-density EVA midsole is designed to absorb shock to reduce stress on the feet, ankles, and knees. They feature exclusive First Ray Technology to assist foot mobility and gait efficiently to relieve some of the stress and pressure on your feet. These shoes are great for those who suffer from plantar fasciitis as they have a durable rubber sole that keeps your feet cushioned and prevents pain from the hard surface underneath. The patterned tread has great traction and allows you to walk on any surface comfortably. These stylish and classic shoes for plantar fasciitis are comfortable and supportive of your lower body to reduce pain. Ballet shoes are the staple of many women's wardrobes, and now those who suffer from plantar fasciitis don't have to be excluded. These simply stylish shoes for plantar fasciitis have a synthetic sole that is cushioned and comfortable. They also feature a removable microfiber-covered EVA footbed that is shock absorbing and prevents further damage to your feet when walking. They have been approved by the APMA, which is a professional body, as well as being biomechanically designed to hug your ankles. This secure fit prevents stress on your feet and lower legs, reducing the pain of plantar fasciitis further for a more comfortable gait. These simply stylish ballet shoes are great for those with plantar fasciitis as they have a cushioned EVA footbed to absorb shock. These sneakers are made for movement and are ideal for anyone who suffers from plantar fasciitis as they are incredibly comfortable. The lightweight mesh upper is breathable and works to keep your feet comfortable and dry during a workout. These shoes are also flexible, which is how they can support your natural movement. The footbed has been designed by podiatrists for the ultimate support and promotes stability from the ground up. This stability prevents additional pain and can help reduce the symptoms of plantar fasciitis. These sneakers are durable and long-lasting so you can wear them every day for support. These sneakers have been made for those who suffer from plantar fasciitis as they are supportive and have been designed by podiatrists. Brooks is one of the best brands in the fitness industry, and these sneakers follow their renowned high-quality. 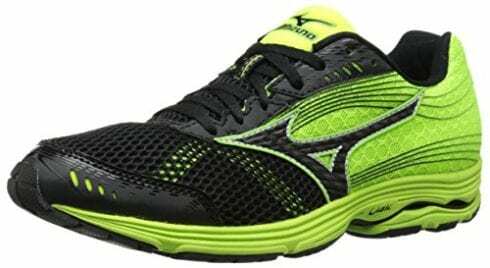 They are made from a lightweight and flexible mesh upper that has undergone a streamlined construction and have supportive cushioning. It is this cushioning that makes these sneakers ideal for plantar fasciitis as it provides reliable responsiveness. These sneakers have exclusive DNA technology to provide unbeatable support and shock absorption, which works to reduce the pain of plantar fasciitis. These running shoes feature a unique GuideRails Holistic Support System that is designed to protect the knees, which is the most injury-prone area of runners’ bodies. These running shoes are suitable for those with plantar fasciitis as they have exclusive technology and supportive cushioning to prevent pain. These shoes for plantar fasciitis have a sleek fit and a low profile midsole to deliver a smooth, responsive ride. As these shoes are made to be smooth, the impact is lessened, and the pain of plantar fasciitis is reduced. The synthetic combination of materials is vegan-friendly, as well as being incredibly comfortable. These sneakers are lightweight and flexible to aid natural movement and reduce the tension that plantar fasciitis causes. The rubber sole has great traction to be worn on all terrains and is slip-resistant for running or jogging. These shoes for plantar fasciitis are a speed-focused sneaker that is supportive of your natural shape and movement. These sneakers are made for movement and are suitable for those with plantar fasciitis as they are supportive and lightweight. 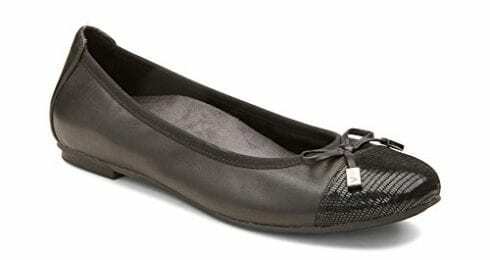 These classy leather pumps are suitable shoes for plantar fasciitis as they rely on exclusive supportive technology. These pumps have a unique Vionic Orthotic footbed with Orthaheel technology for all-day comfort and support in key points of your feet. 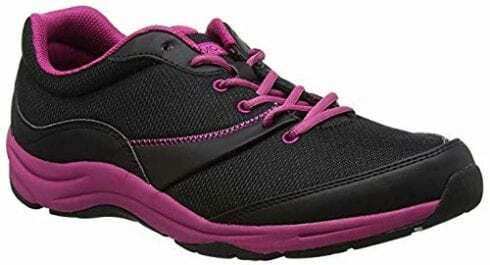 These shoes for plantar fasciitis are both comfortable and stylish, which is why they are so popular with women. These pumps have a slight heel which replicates the natural curves of your feet in order to reduce the tension that plantar fasciitis causes. 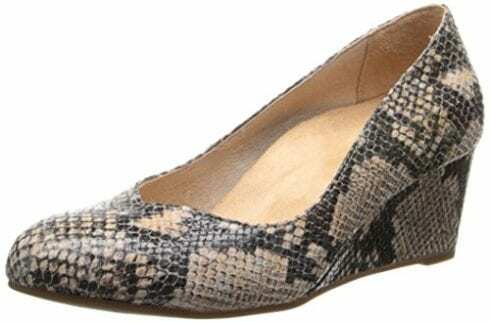 These pumps are stylish as they are made from durable leather that can go with any outfit or occasion. These shoes for plantar fasciitis are stylish, comfortable and supportive to reduce the pain of the condition during everyday activities. These shoes for plantar fasciitis feature a premium orthotic insole included in the shoe as well as having anatomical arch support to reduce the tension and stress on your feet. These sneakers are ideal for those who suffer from the condition, as it features a cushioning heel pad that contours to the natural shape of your foot to enhance comfort and alleviate pain. These shoes feature an Ortho-Cushion System within the lightweight sole that relies on air cushioning to soften your step and reduce the pressure on your plantar fasciitis. These sneakers have been biochemically engineered to alleviate stress on your joints, making them ideal for long-term wear. These sneakers for plantar fasciitis are made to support your natural shape and reduce the pain of this condition with their sole, shape and cushioning. These shoes for plantar fasciitis are made from a premium suede upper, giving them a classic and stunning style. However, looking good isn’t all these shoes can offer. The anatomical dual-density PU footbed offers cushion and support to reduce tension or stress on your lower body. The outer is abrasion resistant, making these shoes ideal for a variety of different occasions and settings. 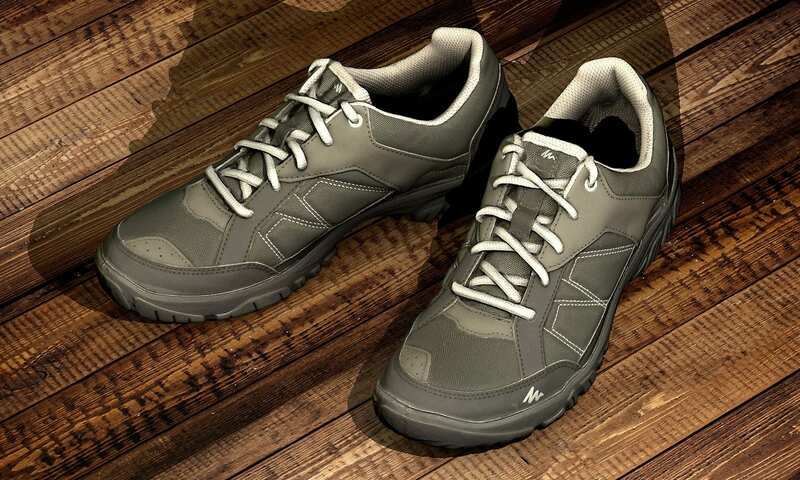 These Lace-Up Nubuck Shoe s can be easily worn, making them ideal for those with plantar fasciitis. They are designed to prevent stress in all areas which is why they are such a popular model. They offer great traction underfoot which means they can be worn anywhere without issue. These classic shoes for plantar fasciitis are comfortable, supportive and easy to wear to reduce tension and stress. These simple and easy-to-wear loafers allow those with plantar fasciitis to participate in special occasions without feeling pain or tension. 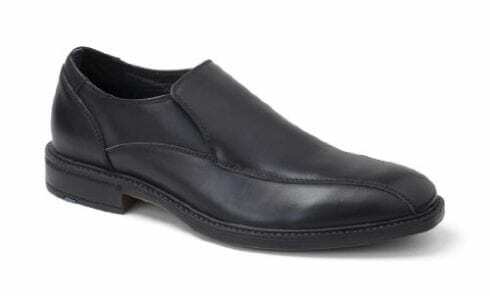 These loafers are made from durable and high-quality leather that is easy to maintain and looks great. The tongue features a hidden elastic band for additional flexibility. The fully-cushioned footbed supports your natural shape and movement to reduce the stress and tension that plantar fasciitis can cause. 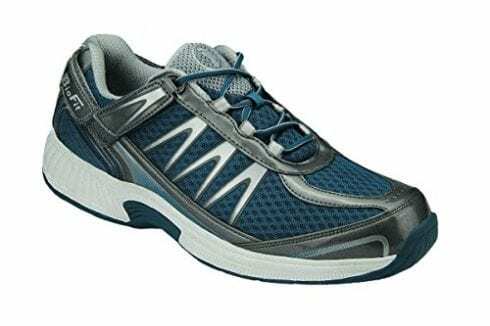 These shoes are great for long-term wear and have great traction to keep you balanced on most terrains. 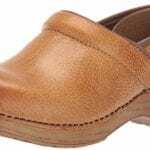 If you have a special occasion coming up, then you should certainly consider purchasing these loafers for plantar fasciitis to keep you comfortable. 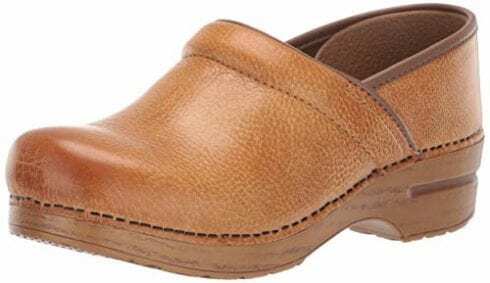 These loafers are designed for those with plantar fasciitis as they have a fully-cushioned insole and natural shape. When you suffer from plantar fasciitis, it is so important that you wear the correct footwear to protect your feet and reduce pain. In order to find the best shoes for plantar fasciitis, you need to understand the condition and your needs. Most shoes that are made for this issue are supportive and incredibly comfortable to reduce any tension or stress that can occur during walking or running. When looking into supportive footwear for plantar fasciitis, you need to know as much as possible about the condition to figure out how your body works and what you need. Plantar fasciitis is something that a lot of people suffer with in silence, but this no longer has to be the case. Plantar fasciitis is a disorder that occurs in the connective tissue that supports the arch of the foot. This condition causes pain in the heel and bottom of the foot that is usually at its most severe during your first few steps of the day, or when you have taken a break from activity for a little while. Pain also occurs when the foot or toes are bent. Plantar fasciitis can be quite troublesome for those who suffer from it as it causes so much pain. The pain is gradual, in most cases, but can affect both of the feet at once. This often causes people with plantar fasciitis to be unable to walk any kind of distance, as well as often being excluded from certain sports or activities. The causes of plantar fasciitis are still somewhat unclear, although there are certain triggers for it that causes the pain. Those who suffer from plantar fasciitis are also most likely to have diabetes or may even be obese. However, plantar fasciitis can also be caused by standing on your feet unsupported for long periods of time, which is how a lot of people in certain workforces may suffer from it over time. It is also associated with lifestyles that have little exercise; those with tight Achilles tendon and other internal issues, like rolling. Shoes for plantar fasciitis are designed to reduce this pain and in a lot of cases can actually alleviate it totally. This is because they feature specific cushioning and shaping to reduce pressure in the heel or arch of your foot, which are the two main areas of concern when you suffer from plantar fasciitis. Plantar fasciitis is a condition that causes pain in the main muscles within your foot. This muscle group is based between the ball of your foot and your heel, which is where all of the support is located. If this area of your foot feels tense, strained or irritated during walking or movement, then you may suffer from plantar fasciitis. Shoes for plantar fasciitis are designed to reduce the tension and pain that the condition can cause. These specially designed and manufactured shoes feature cushioned and certain shaping to reduce the tension on your heels or arch of your foot during movement. The arch is, of course, one of the main areas of plantar fasciitis that causes pain and issue during movement. This means that shoes for plantar fasciitis need to have the good arch support that is strong and comfortable enough to prevent further pain or damage to the foot that can be caused when landing on hard surfaces or in other shoes that do not have a natural shape. Although all shoes throughout this review have some sort of arch support, there are certain types of shoes that work better than others. Shoes such as the Dansko Women’s Professional Mule and the Vionic Womens Antonia Mid Wedge Pump are specially shaped shoes. This kind of shoes has a natural curve to them that replicates the shape of your foot and prevents tension in the arch. Other shoes throughout this review will have to cushion or padding in this area for support. Shoes for plantar fasciitis will have some form of shock absorption pads, typically based in the heel, to prevent any further damage to your feet when walking or running. These heel pads are large and will literally absorb the impact of your foot hitting the floor or surface to prevent damage or pain. Shoes such as the Vionic Men’s Eddy and the Vionic Women’s Kona Fitness Shoes feature EVA midsoles and footbed that are made to absorb shock. This prevents damage to your foot and actively works to increase your movement while reducing the risk of damage or tension. When you suffer from plantar fasciitis, having heavy or chunky shoes is not ideal. 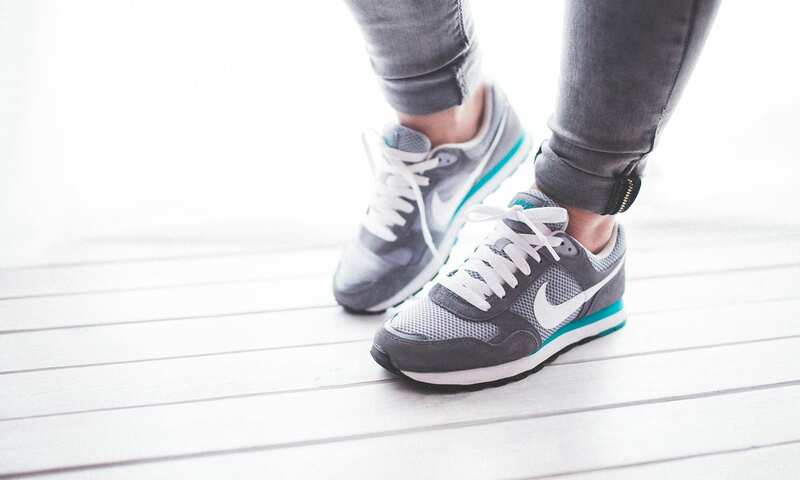 You want shoes that are lightweight and flexible enough to be comfortably worn all day long, whether that is for a workout, walk, hike, jog or simply everyday activities. Shoes for plantar fasciitis need to be lightweight to reduce the risk of stress or tension. 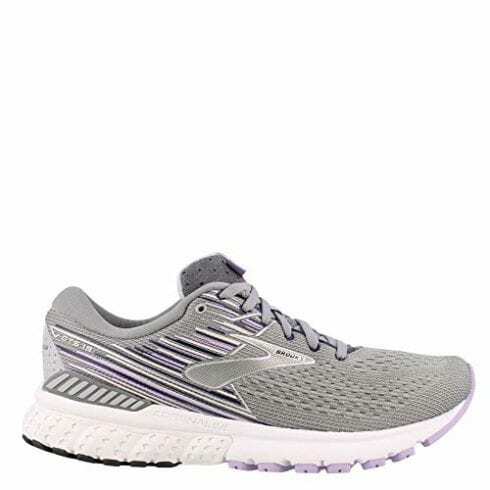 Shoes such as the Orthofeet Proven Pain Relief Mens Sneakers and the Brooks Womens Adrenaline GTS 19 are made from a lightweight mesh that is flexible. These kinds of shoes are specially made for movement, as mesh is a breathable material that keeps your feet cool during any type of activity. Mesh is a great lightweight material that helps those with plantar fasciitis as it reduces tension, stress, and pain. Plantar fasciitis is typically treated through the strengthening of your foot muscles. This strengthening has been known to treat and reduce heel pain, which is, of course, a huge symptom of plantar fasciitis. Some professional treatments will also include strapping your feet for periods of time to strengthen the muscles and get your posture right. As well as purchasing and wearing shoes for plantar fasciitis, there are some other home remedies you can perform to treat and reduce the symptoms of the condition. Most of the home remedies of plantar fasciitis are focused on dealing with the pain the condition causes. A great way to reduce the pain of this condition is by applying an ice pack to your feet after a long day. This will also reduce the inflammation that plantar fasciitis can cause. Most people notice that they are suffering from plantar fasciitis when they experience pain during the first few steps of their day or if their feet get tight after a break. These first steps can be incredibly tender, sore and tight making this condition very difficult. If you are concerned about plantar fasciitis, then you should contact a professional podiatrist if your symptoms have not reduced over a few weeks of stretching. It is so important that you get the right diagnosis before you start trying to treat plantar fasciitis, as you may need more than some specialized shoes. Plantar fasciitis doesn’t have to be an intrusive condition if you know how to look after yourself. Wearing comfortable and supportive shoes for plantar fasciitis can be a great way to reduce the pain, tension, and stress that it causes. Plantar fasciitis can be caused by diabetes, obesity and a lack of exercise or may be due to the work you do if you are always on your feet. Shoes for plantar fasciitis need to have good arch support, as this is the main area of pain and issue. 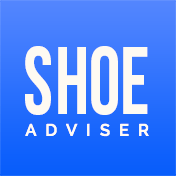 We hope you enjoyed our article on "10 Best Shoes For Plantar Fasciitis in 2019", if so, please share and rate it.